The Heritage Center contains a large collection of books and pamphlets documenting the history of California from prehistoric times to the present. The holdings may be searched by consulting the Library's catalog, ValleyCat; any items tagged with "CalifRm/Gene" are available for use in the Room, as its collection does not circulate. 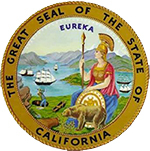 There are also vertical files for California and Fresno County history available for use, arranged by subject and containing various clippings and ephemera.